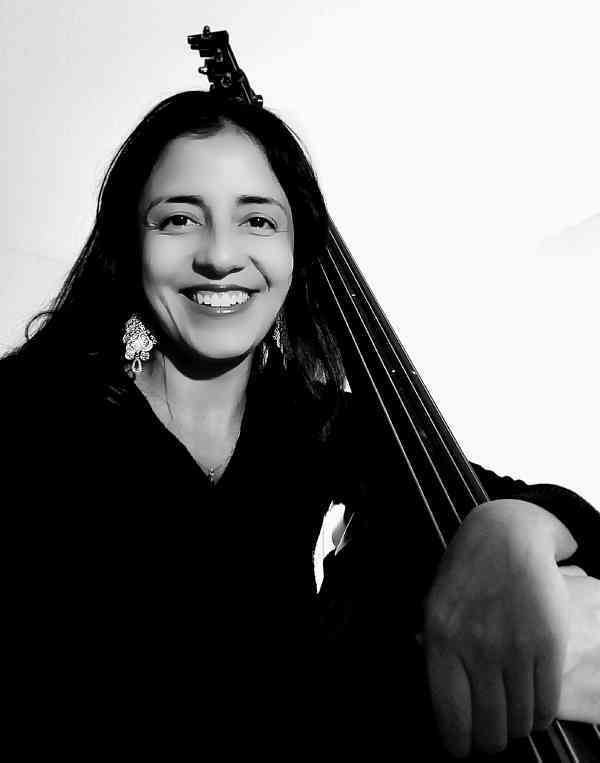 Her pedagogical experience began at her country by working with children through Batuta National Foundation, where she worked as a Cello/ Double bass instructor and pre-orchestra ensembles conductor. As a part of her Job she constantly received pedagogical and musical workshops including: Orff, Dalcroze, Kodaly, voice lessons, flute lessons, Colombian folk music, percussion and guitar. She complemented her musical instruction in Double Bass with academic course work and piano at the university, receiving a Bachelor degree from Central University in Bogota and a Masters degree in Double Bass performance at University of Houston. Under the guidance of Dennis Whittaker. As a Double Bass player she has joined several orchestras and ensembles like: Orquesta Sinfónica de Bogotá, Sincopados ensemble, Bayou city Bass Quartet, Central University’s Chamber Orchestra, University of Houston Symphony Orchestra, Clear Lake Symphony Orchestra, Orford Academy Orchestra (Canada), National Music Festival, The Symphony of South Texas, Brazos Valley symphony Orchestra. Furthermore she has participated in master classes and workshops with double bass teachers such as: Jonathan Camps, Ilko Russev, Dennis Chabot, Constantine Greco, Jeff Bradetich, Edgar Meyer, Tim Pitts, Sandor Ostlund, Alí Yazdanfar, Paul Ellison, Robert Stiles, Andres Martin, Diego Zecharies, Eric Larson and Michael Klinghoffer among others. She is currently working as a music teacher, freelance musician and arranger combining academic, folk and popular music.